We are one of the largest custom apparel service providers in Calgary that offers you the high-quality custom apparel at the most competitive prices. At AAA Promotional, we believe in delivering the best quality custom apparel to our clients. We are leading this industry over 20 years not only because of our supreme quality printing services, but also for the great customers who helped us to grow. We have a large selection of apparel in Calgary waiting for your creative ideas. 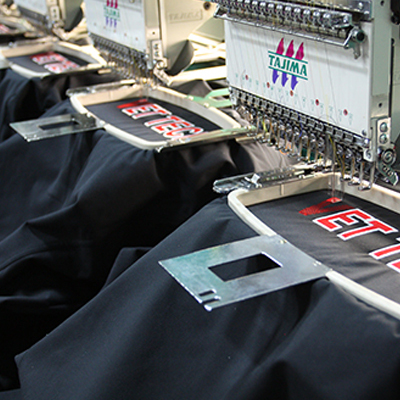 You can use both screen printing and embroidery on your apparel. Our exceptional customer service is something that distinguishes us from our competitors and makes us unique. We know how to take care of our valuable customers. Ordering custom goods were never been so easy. In fact, it is quite stressful and confusing for the buyers. At AAA Promotional, we understand this, and customize our services in such a way that you can get your customized apparel in the easiest way possible. We always make sure that you are getting informed in every step of the way. When you order our custom apparel, you can be assured that you will receive the apparel with unique designs. We promise to offer you our custom printed t-shirts that will meet all your expectations. We believe being transparent is the best business ethics. Our transparency is our identity. We have no ridiculous artwork fees, set up charges or other hidden costs. You can find a product you like, be it crewnecks, hoodies or something else, we will customize them through embroidery or screen printing. So, if you want the best in class custom apparel in Calgary, you can contact us anytime through email or call. We are always active to help you with the best apparel solution.